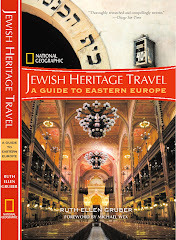 A number of Jewish culture festivals of all sorts take place around Europe in the spring and summer (and beyond). Some are dedicated just to music. Some to film. Others are much broader. As far as I know, there is no central web site where you can find information on all of them. I will begin to post information here on dates and venues. I ask my readers to please send me information to include! The list will be growing and growing -- and again, I ask my readers to please send me information and links to upcoming events. Thanks! 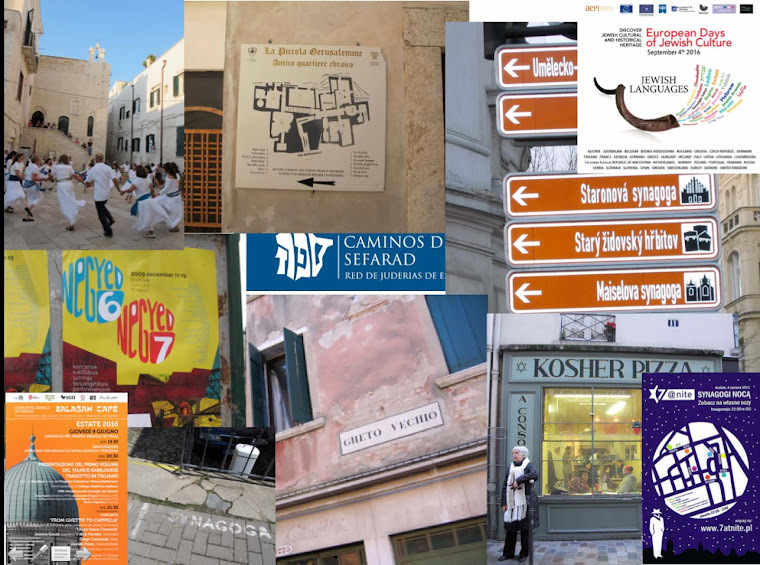 ALL OVER EUROPE -- 11th annual European Day of Jewish Culture. The first Sunday in September -- Sept. 5. Events take place in nearly 30 countries. The theme this year is Art and Judaism. July 8-11 -- Boskovice -- Boskovice Festival. Mainly jazz, but also an emphasis on Jewish culture, given the importance of the well-preserved former Jewish quarter, cemetery and Jewish museum in the restored synagogue. July 5-9 -- Paris -- Klezmer Paris festival Lots of workshops from an all-star international team of musicians and teachers. Nov.21-Dec. 13 -- Paris -- Jazz'n'Klezmer festival, 9th edition. June 26-July 4 --Krakow -- Festival of Jewish Culture --20th Edition! Festival in Europe after the month of October 2010. Can you please notify me..where? They are not "my" festivals! You will have to follow the links provided and contact each of the festivals individually and let them know about your film. Thanks for compiling this great list! If you know of any other comprehensive Jewish festival lists, for example in other parts of the world, that would be great to know as well. In any case, thanks for your efforts - kol ha'kavod! Hi Ken -- Thanks! The Teruah Jewish music blog (there's a link on the sidebar of this blog) has a list of mainly north American festivals. The link under Poland, Warsaw for the "Singer's Warsaw Jewish Culture Festival" is for the 2009 Festival. Select "News" and scroll down the page to the 2010 Festival. There's a link for more info. Milano 24 novembre 2010. "Un askenazita tra Romania ed Eritrea"